Getting your vehicle ready for an off-road adventure is as easy as packing your friends in the back and your gear on the roof and heading off, right? While this is definitely one way which you can start your adventure, it’s also the best way to run into trouble along the way which can often leave you coming back before you have even had a chance to leave the city limits! Below is a post from USA Synthetics with some handy tips to help you both keep your vehicle in good shape, and keep you and your friends off the road for longer! 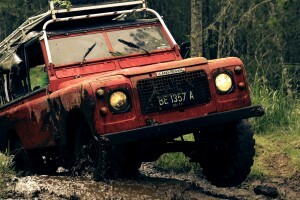 The first tip comes in the form of which items you should be packing into your off-road vehicle or truck first. In short - the heaviest items. This means that once you have a list of everything you will be packing to take with you, separate all of the bulky and heavy items into a pile. This is the pile that you are going to put into your vehicle first, as evenly dispersed as possible. Why? This simple tip is the best way to help lower your vehicle’s center of gravity and prevent your vehicle from tipping over as you maneuver into seemingly impossible positions and angles. Of course, it also has the added benefit of helping to keep your ride as smooth as possible and give your suspension easy treatment. While it won’t ensure a smooth ride, every little bit helps when it comes to driving over rocks and down riverbanks. Once you have your heavier items sorted, it’s time to pack the rest of your vehicle. When you are doing this, your roof is likely to be an attractive space to utilize. And while you would be correct with this thought, be sure to use the space wisely. Instead of using the plain roof or even your regular roof-racks, be sure to install a purpose designed cargo rack which can hold your gear in place. To complement this, be sure to use a high-quality packing netting to further keep everything where it needs to be. While it may seem like too much work for a simple trip out, when you consider the angles that your vehicle is going to be driving up, if any of the items packed on your roof tilt and lean over the outside of your vehicle’s footprint then you can bet that it’s going to take your vehicle’s center of gravity with it. Click here to buy Signature Series 0W-20 Synthetic Motor Oil and give your truck a synthetic oil change before you head off. If you aren’t sure if this is the best-suited engine lubricant for your vehicle, check out the online store or don’t hesitate to speak with an expert at USA Synthetics by calling (405) 388-6170. Are You Sure Your Vehicle Can Handle It? Every off-roader prides themselves on finding the most remote and inaccessible places to enjoy total serenity wither by themselves or with their passengers. And as serene as these places can be, you can only enjoy them if you can actually get there. For example, imagine that you maneuver your truck into a position and get stuck between a rock and a literal hard place. All you need is a simple tow from another offroader to get you out quickly and get you back on track (or, off-track). Without the assistance of a complementary vehicle, this could spell disaster for your adventure before it has even begun! The best place to start with any type of vehicle maintenance is with a synthetic oil change. Speak with USA Synthetics today by calling (405) 388-6170 to learn more about the benefits of a synthetic oil change in Oklahoma City, OK, and how this easy maintenance task can help to keep your engine in good shape for longer.